Decant this bottle as there's a notable prickle on the palate. 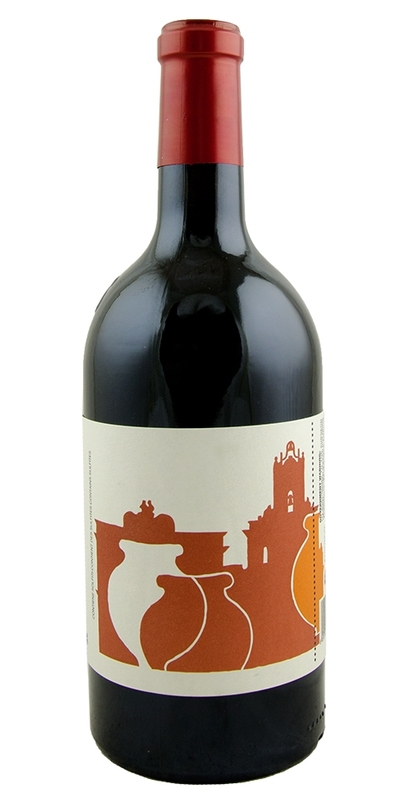 This mouthful of a red was both vinified and aged in clay amphorae – an ancient practice that still works wonderfully, as this wine ably shows. The smooth, pleasant palate impression is of raspberry, mandarin, and minerals. We refer to most European wine as "Old World" but this wine deserves the category of "Ancient World". Nero d'Avola and Frappato are vinified and aged in clay amphorae, an ‘old fashioned’ method still practiced by a handful of wineries today. This process changes the wine from head to toe. Fish sauce, dried herbs, and sheets of Nori make up the nose. The palate is rich dark fruits pulled out of a barrel of brine. A sleek texture, lean tannins, and bright acidity make for lip-smacking juice. Enjoy this with a fillet of smoked whitefish on a crostini drizzled with white truffle oil. Notify me when COS, "Pithos" - 2016 is back in stock.